Gold is the most famous metal and is used as a store of value/investment/hedge, component in jewelry, industrial metal (teeth filings, health care) and as a central bank instrument to back up monetary reserves. This is the purchase of physical gold. The price that an investor purchases for may be well below spot prices due to the lack of buying power of an individual. For this to be profitable, there is a higher price that needs to be surpassed. 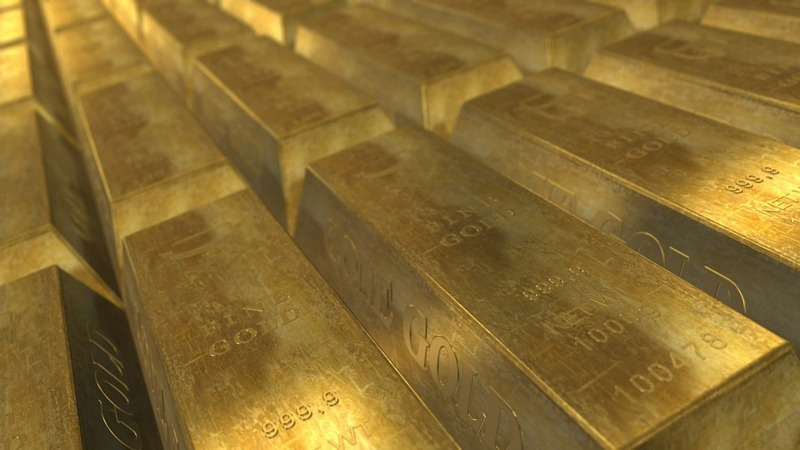 Major exchange traded funds such as NYSE:GLD are backed up by an underlying gold reserve. This offers an investor the most liquidity and the lowest unit cost of carry. Gold is a liquid future traded on various exchanges. These are leveraged bets on gold but can be augmented or held back by idiosyncratic (firm-specific) risk, financial leverage and operating leverage. A bad gold company can go to zero even if gold skyrockets. A reasonable company can translate into a leveraged bet on gold. The more junior the gold company, the more torque it has moving either way in the same direction as gold. Gold companies include explorers, developers, producers, and streaming companies. Gold miners have operating and financial leverage. The company is theoretically the present value of its reserves to be sold. If the gold price makes reserves uneconomical to extract, the company simply becomes real option value. The more senior a gold company, the more it becomes priced as an operator instead of a call on gold. An investment in a major gold miner such as Goldcorp or Barrick becomes a bet on management and other corporate specific factors that may cause the stock to be influenced by more than just the gold price. If looked at as a hedge against market volatility held in the portfolio similarly to cash, there is merit behind holding gold. Most academic texts look at 3-5% of a well-diversified portfolio being allocated to gold. Historically, gold has done well during times of market turmoil. This is a bet on timing and correctly guessing macroeconomic variables and how the market reacts in terms of the price of gold. This is the long-term holding of gold for price appreciation. As alluded to above, gold has consistently underperformed stocks and bonds in this regard. It is important to remember that gold by itself is not an operating asset or a stake in an operating asset. It does not generate cash flow like a business, collect rent like real estate, pay a dividend like a stock or yield interest like a bond. It is simply a claim on a metal where price may deviate from the intrinsic value of industrial use. In fact, holding gold directly or indirectly actually comes with carrying costs to pay for physical storage. If gold is purchased by an individual investor, the gold must be held somewhere and possibly insured. If gold is purchased indirectly through an ETF, these costs are passed on via fees, explicit or implicit, to the investor. Gold is an interesting asset class that has historically been a safe haven and a risk-off asset (an asset that investors pour money into when markets are volatile and there is uncertainty). Gold is a much less relevant commodity than oil in terms of daily trading volumes and importance to the world economy, however the metal had a substantial run up following the financial crisis as Central Banks adopted accommodative/expansionary monetary policy (quantitative easing) to stimulate the economies and boost inflation. Gold rose precipitously as a result of the jump in the money supply. This trend was jumped on by traders and gold’s historical relationship as a risk-off asset decoupled. The economy was recovering and gold continued to rise before crashing and remaining range bound as Central Banks begin to unwind their monetary stimulus. Gold now follows its historical pattern more closely as a risk-off asset while Bitcoin has become the new asset bubble.